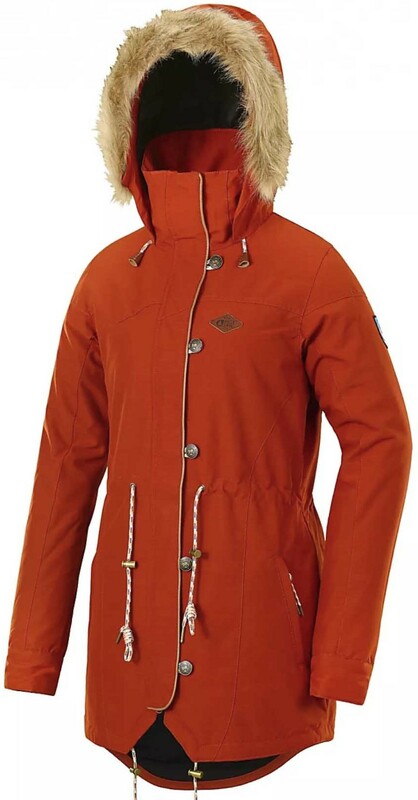 The Picture Organic Katniss Jacket has a mix of street style and snowboarding functionality. It has 80g of insulation throughout so it should keep you nice and warm and is also somewhat waterproof at 10k. There are a lot of extra style features to this jacket like the faux fur and the buttons and waist cinch. If you are looking for a jacket that is 30% snowboard and 70% streetwear this would be a good option. We try to get as many images of the Picture Organic Katniss, but forgive us if they're not all there.